hd00:10AGRA, INDIA - 26 FEBRUARY 2015: Back side view of Taj Mahal, with tourists through pation in front. 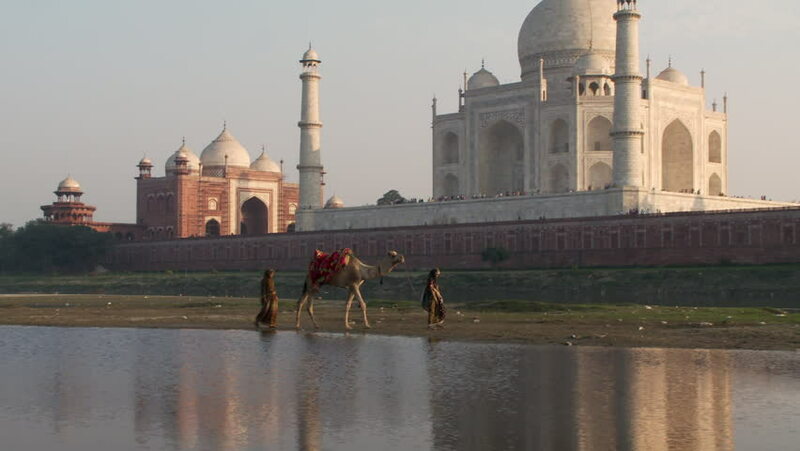 hd00:20Goats grazing on dried riverbed, Taj Mahal in the background. hd00:13MUMBAI, INDIA - 15 JANUARY 2015: View on the fronts of Taj Mahal, with tourists walking in front. hd00:14Goats grazing on drier riverbed. Taj Mahal on background.